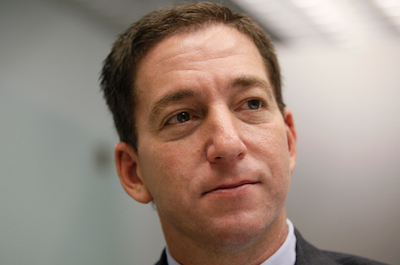 Author, lawyer and fierce defender of civil liberties, Glenn Greenwald became a household name after he used documents provided by whistleblower Edward Snowden to publish a series of articles detailing the operations of the U.S. surveillance state. On June 28 he addressed attendees of the Socialism 2013 conference in Chicago via Skype. Here is a lightly edited excerpt of his talk. I want to spend a little bit of time describing what has happened to me over the last four weeks from a somewhat personal perspective. It was many months ago that I was first contacted by Edward Snowden. He contacted me by email. He was anonymous. He didn’t say much. He simply said he had what he thought would be some documents that I’d be interested in looking at, which turned out to be the world’s largest understatement of the decade. It wasn’t until he was in Hong Kong that we really began to have substantive online conversations about who he was, what he was doing and what kind of documents he had. But I didn’t know his name. I didn’t know anything biographical about him, his age, where even he worked. Like most of us do when we’re interacting with somebody exclusively online, I began to form a mental impression of who he was. And I was pretty certain that he was older, even in his sixties. I thought that because he had such obviously penetrating access to top-secret documents. He also had such incredibly sophisticated and well-thought-through insight into the nature of the national security apparatus and his own relationship to it, that I thought he had been thinking about these things and interacting with them for decades. But the real reason I thought that he was that age, nearing retirement, nearing even the end of his life, was because he was very emphatic from the beginning that he absolutely knew what he was doing would essentially unravel and probably destroy his life. That the chances that he would end up in prison for the rest of his life, if not worse, were very high. Probably close to inevitable. Or that at the very least that he would be on the run from the world’s most powerful state for the rest of his life. When I got to Hong Kong and met him for the first time, I was more disoriented than I think I had ever been in my life. Not only was he not 65, but he was 29 and looked much younger. When the filmmaker Laura Poitras and I went to his hotel room and began questioning him, what I really wanted to understand was what led him to make this extraordinary choice. This was in part because I didn’t want to be part of an event that would destroy somebody’s life if they weren’t completely open-eyed and rational about the decision that they were making. But it was also because I wanted to understand what would lead somebody with their entire life in front of them — a perfectly desirable life: living with his longtime girlfriend in Hawaii, with career stability, a reasonably well-paying job — to throw it all away, become an instant fugitive and probably spend the rest of their life in a cage. The more I spoke with him about it, the more I understood. And the more I understood, the more overwhelmed I became. What he told me over and over in different ways — and it was so pure and passionate that I never doubted its authenticity for even a moment — was that there’s more to life than material comfort. Or career stability. Or trying to simply prolong your life as long as possible. What he continuously told me was that he judged his life not by the things that he thought about himself, but by the actions that he took in pursuit of those beliefs. When I asked him how he got to the point where he was willing to take that risk, he told me that for a long time he had been looking for a leader, somebody who would come and fix these problems. And then one day he realized that there’s no point in waiting for a leader, that leadership is about going first and setting an example for others. And what he ultimately said is that he simply didn’t want to live in a world where the U.S. government was permitted to engage in these extraordinary invasions, to build a system that had as its goal the destruction of all individual privacy. That he didn’t want to live in a world like that, and that he could not in good conscience stand by and allow that to happen knowing that he had the power to help stop it. But the thing that was most striking to me about all of this is that I was with him for 11 straight days. I was with him before we divulged what his identity was, and I watched him watch the debates that he had really hoped to provoke unfold on CNN, NBC, MSNBC and every other channel around the world. I also watched him, once he was revealed, realize that he had become the most wanted man in the world. That Washington was calling for his head. And what was truly staggering to me, and continues to be staggering to me, is there was never a moment, never an iota, of remorse or regret or fear. This was an individual completely at peace with the choice that he had made because that choice was so incredibly powerful. I was incredibly inspired by being in proximity to somebody who had reached a state of such tranquility — because he was so convinced that what he had done was right. His courage and passion infected me to the point that I vowed that no matter what I did in my life, with this story and beyond, I would devote myself to doing justice to the incredible act of self-sacrifice that Edward Snowden had made. One of the things that I know I set out to do, and that I think Mr. Snowden set out to do, and that I know the people at The Guardian set out to do, was not simply to publish some stories about the NSA. It was to really shake up the foundations of the corrupted and rotted roots of America’s political and media culture. There’s an economist, Dean Baker, who wrote on Twitter that he thinks that the stories that we’re doing are shining as much light on the corruption of American journalism as they are on the ongoing operations of the NSA. I think that is true, for several different reasons. Number one is that if you look at the “debate” over the about whether or not I should be arrested, prosecuted and then imprisoned under espionage statutes for doing journalism, what you find is that that debate is being led by people who are TV actors who play the role of journalists on TV. They’re the ones who are actually feeding the debate. They purport to be adversaries and watchdogs of political power, but they are actually servants of political power. What you find is that they always lead the way in attacking whoever challenges the political system in Washington, because that is the system of which they’re a part. That system props them up, gives them oxygen and provides them with all of their privilege, wealth and access. And their true role — not to serve as adversaries of people in government power or to expose what they’re doing, but to protect and shield them, and amplify their message — has become more vividly exposed in the last several weeks than it has in quite a long time. When I look at how whistleblowers are treated, I can understand why ordinary Americans might have ambivalence about them. Some people think security is more important. Or that secrecy is something that should be decided by democratically elected officials and not by individual whistleblowers. But what I don’t understand is how anybody who at any point thought of themselves as having a journalistic ethos would look at people who are shining light on the world’s most powerful factions and do anything but applaud and express gratitude for them, since that’s supposed to be the function that they, the journalists, themselves are serving. And yet what you find is the exact opposite. Glenn Greenwald is the author of four books, including With Liberty and Justice for Some: How the Law is Used to Destroy Equality and Protect the Powerful.